Remarkable breakthroughs in technology have been affecting all realms of businesses. To attain an edge over the competition and stand out, business organizations need to keep pace with the accelerating technological advancements. Well-advanced communication methods are the lifeline of any company. You need to deploy the most innovative and modern telecommunication services in your company to enhance the overall performance and efficiency. B2BCOMZ can help your businesses grow and thrive by rendering you with the best quality telecommunication systems. If you need a communication system that combines the traditional telephone with internet protocol functionalities, then pabx system is the right choice. Private automatic branch exchange or simply PABX can act as the integral part of your information transformation. 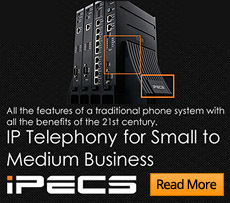 At B2BCOMZ, we can provide PABX systems like voip phone systems, ipecs phone and aria phone systems at affordable prices. Integrated with modern technologies, you can easily manage inbound and outbound calls. Connected to a public switch network (PSTN), it is also possible to access external telephone lines. Call forwarding, speed dialling, caller ID, call transfer and various other easy to use features are available. We can help you to upgrade your existing communication system and stay connected with employees and your developing customer base. B2BCOMZ can expand customizable solutions that can completely configure to your office needs and budget. PABX systems can reduce your phone costs to a greater extent and increase the call management features.